Recently in China, and Russia, Android malicious applications are rapidly growing and smartphone security threats are getting bigger. "INCA Internet Response Team collects almost every new foreign malicious files, enough to respond as a large quantity is steadily increasing." Yet official domestic damage collecting hasn’t been set, unofficial cases are spreading gradually. According to this growth, INCA Internet Response Team is watching the status with the possibility to be spread widely. PPXIU (http://www.ppxiu.com/) is known as China's first interactive gaming community, And this following figures are normal screen of the original Android game. INCA Internet Response Team found malicious file disguised as a PPXIU, Android game. As a result after testing between malicious file and normal file in same mobile phones, INCA Internet Response Team found that some characters of malicious file were broken while performing installation as follows. Malicious files tries to send text messages using premium text messages to a specific phone number, so the user can be caused billing. But this number is estimated to be in Chinese internal telephone numbers for local, further analysis is underway. In addition, a malicious file tries to leaking IMEI, IMSI information of android phone out to an Chinese specific Web site. 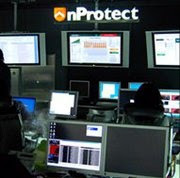 nProtect Mobile for ANDROID products detected as Trojan-Spy/Android.FakePPx.A. In addition, we also found other variant malicious sample and can be detected Trojan-Spy/Android.FakePPx.A. This malicious game application designed to target users in China, So, its overseas damage except China has not been reported. Because of the characteristic of smartphone applications, installing overseas’ application is relatively easy. But, with a possibility of emerging this kind of malicious applications remains as a threat. Also, in case of malicious application using repackaging, double packaging, it can install malicious application by stealth. I've ordered a scholarship essay from this service https://essaydragon.com/blog/scholarship-essay and won a contest! This is awesome, guys!